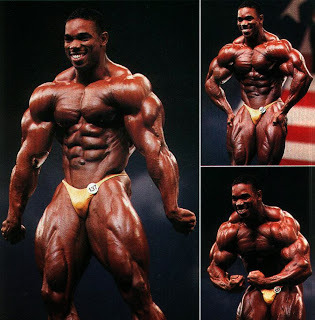 Kenneth Wheeler (born August 23, 1965, Fresno, California, United States), known as Flex Wheeler, is a former American IFBB professional bodybuilder. Wheeler won the Arnold Classic a record four times. Wheeler was described by Arnold Schwarzenegger as one of the greatest bodybuilders he ever saw. Wheeler grew up in poverty in Fresno, California. As a child, Wheeler experienced child abuse and suicidal tendencies. He struggled in school due to dyslexia, but excelled in sports. Wheeler began training in martial arts, and started bodybuilding as a teenager after discovering weightlifting. He is on record as regarding himself as a "martial artist first, a bodybuilder second". Wheeler has remarkable flexibility, including being able to do a complete splits, which led to his nickname Flex. 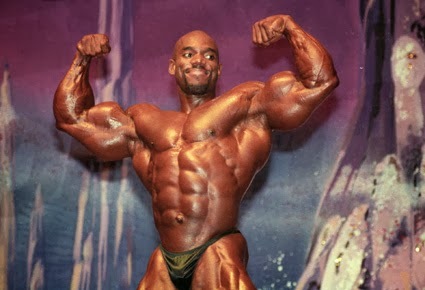 After a short career as a police officer, Wheeler focused full-time on becoming a professional bodybuilder. He competed for the first time in 1983 but it was not until 1989 that he secured a first-place trophy at the NPC Mr. California Championships. He placed second at the 1993 Mr. Olympia, narrowly missing a win (something he was to repeat in 1998 and 1999). He is a 5-time Ironman Pro winner, 4-time Arnold Classic winner, and has won the France Grand Prix, South Beach Pro Invitational, Night of Champions and Hungarian Grand Prix. While Wheeler had the reputation of being arrogant and overconfident, he attributed this to a need to compensate for his introversion and insecurity as a child and young man. Since retirement, Wheeler has focused again on martial arts, his specialty being Kemp-Kwon-Do, a variant of Kempo and Tae Kwon Do. In 2003, he received a kidney transplant; he then went on to participated in a demonstration fight at the 2005 Arnold Classic. In 2007, Flex was interviewed by freelance journalist Rod Labbe for Ironman Magazine's Legends of Bodybuilding series.